On December 25, 2009 UNIAN published a secret agreement “On Political Reconciliation and the Development of Ukraine” leaked by Yaroslav Kozachok, the deputy head of the presidential secretariat’s department on domestic affairs and regional development. Kozachok resigned in protest at the secret agreement between President Viktor Yushchenko and Party of Regions leader Viktor Yanukovych to appoint the former as Prime Minister in the event of Yanukovych’s election. The Yushchenko and Yanukovych campaigns –not surprisingly– alleged that the document was a forgery (Ukrayinska Pravda, December 28). At the same time, its authenticity is proven by two steps undertaken by the presidential secretariat. Firstly, the presidential secretariat’s pressure on television channels not to discuss the document, which led to Kozachok complaining about the return of censorship to Ukrainian media. “It is obvious that ignoring (the document) has taken place on instructions from ‘above,’ and the system has worked to block the appearance in the mass media of information unpleasant for senior officials” (Ukrayinska Pravda, December 29). Secondly, if the document unveiled by Kozachok was indeed a “forgery” then why did the president order the prosecutor-general to launch an investigation into the publication of a “state secret?” Yushchenko ordered a full report within ten days on how the document was leaked, while presidential secretariat head Vera Ulianchenko initiated an internal investigation of Kozachok’s employment record (Ukrayinska Pravda, December 28). The secret agreement aims to ensure “political stability and economic development” and to end years of political in-fighting. Both sides agreed compromises based upon avoiding raising issues that are considered divisive within Ukrainian society. Yushchenko agreed not to raise rehabilitating and promoting nationalist leaders or demanding compulsory Ukrainian language tests in schools and universities. In return, Yanukovych would not advocate Russian as a second state language or call for a referendum on Ukrainian NATO membership (UNIAN, December 25). Yanukovych has downplayed his election program commitment to Russian as a state language and Yushchenko has not mentioned NATO in his program. 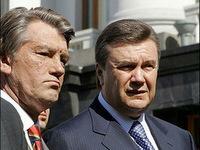 The next section of the secret agreement calls for Yushchenko and Yanukovych not to criticize each other. The 2010 election campaign is noticeable for the absence of criticism by Yushchenko of Yanukovych and the former’s daily accusations against Tymoshenko. Yushchenko has asked voters to stay at home and not vote in round two, arguing there is no difference between Tymoshenko and Yanukovych who will inevitably enter the February 7 run off. A low turn-out in “Orange Ukraine” would result in Yanukovych’s election, while a large voter turn-out would ensure Tymoshenko’s election since the combined “Orange” vote is larger. Yushchenko is in effect calling on his supporters to not vote negatively against Yanukovych in the second round. Playing on Western Ukrainian, anti-Russian nationalism, Yushchenko has accused Tymoshenko of being “unpatriotic” by referring to the fact that she has only one ethnic Ukrainian parent (her Armenian father separated from her mother when she was a child). In addition, since the summer of 2008 Yushchenko has repeatedly condemned as “treasonous” Tymoshenko’s cultivation of a pragmatic economic-energy relationship with Russia that has brought her support from Western Europeans anxious to avoid another gas crisis in January. Yushchenko has appealed to Ukrainians to vote for a “Ukrainian premier” (meaning himself) who will not, allegedly unlike Tymoshenko, sell Ukraine to Russia by permitting the Black Sea Fleet to remain in Sevastopol beyond 2017, which would require a constitutional amendment that no president could undertake (Ukrayinska Pravda, January 3). Tymoshenko would also allegedly transfer Ukraine’s gas pipelines to Russia, an accusation which contradicts Tymoshenko’s mobilization of parliament in February 2007 to vote for a law banning any transfer of the pipelines from Ukrainian state control and her March 2009 agreement with the EU to modernize the pipeline infrastructure without Russian involvement. Tymoshenko is also accused of being the “biggest threat to democracy” in Ukraine, Yushchenko has claimed (Ukrayinska Pravda, December 24). 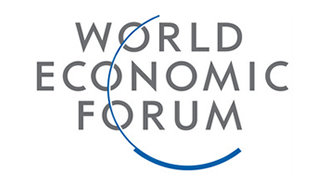 This accusation ignores the perilous state of Ukrainian democracy, as shown by recent Western and Ukrainian surveys, which reveal that Ukrainians associate democracy with “chaos” following years of instability and elite in-fighting. The “Coalition of Political Reconciliation and Development of Ukraine” would propose Yushchenko as its candidate for prime minister. The basis of this coalition remains unexplained, since Yushchenko controls only 15 out of 72 Our Ukraine deputies. Yushchenko has always wavered between supporting a grand coalition with the Party of Regions or a “democratic” coalition with the Tymoshenko bloc (BYuT). Following the March 2006 elections Yushchenko sent the Prime Minister (and head of Our Ukraine) Yuriy Yekhanurov to negotiate a grand coalition and Roman Besmertnyi to form a “democratic” coalition. Following the dissolution of parliament in April 2007, Yushchenko negotiated a compromise with the Party of Regions to hold pre-term elections in September in exchange for a grand coalition. During the 2007 election campaign Yushchenko campaigned for a “democratic” coalition, which was established with Tymoshenko as its candidate for prime minister in December 2007. Raisa Bohatyriova, the head of the Party of Regions parliamentary faction, was appointed as secretary of the National Security and Defense Council (NRBO) who, together with the presidential secretariat head Viktor Baloga, spent 2008 seeking to undermine the Tymoshenko government in which Yushchenko had demanded that half the cabinet posts go to Our Ukraine. The agreement seeks a grand coalition through a Yanukovych presidency, but will again fail for the same reasons that it has in the past. Yushchenko will be unable to ensure that a parliamentary majority will vote for him: Our Ukraine deputy Oleksandr Tretiakov said that parliament would never vote for Yushchenko’s candidacy (Ukrayinska Pravda, December 15). 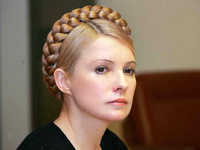 Tymoshenko would therefore remain a constitutionally powerful prime minister under President Yanukovych.